Reach 20000 points Within 50 second to complete the level. This level has easy difficulty and you need to use few good technique to complete this level. 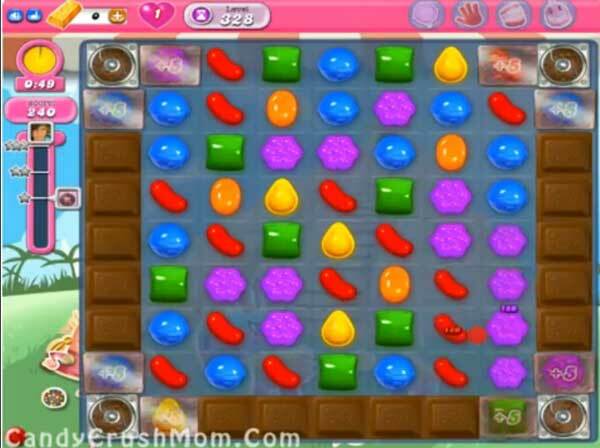 For this level you should try to break the chocolates in every moves so they wont increase plus wont waste your move plus try to break the time bomb as soon as possible. Try to use special candy with normal candies like colorbomb with normal candy and not with striped candy as it could waste your time. We completed this level with 90940 score using the above strategy that we share and got three star score at the end of the level.